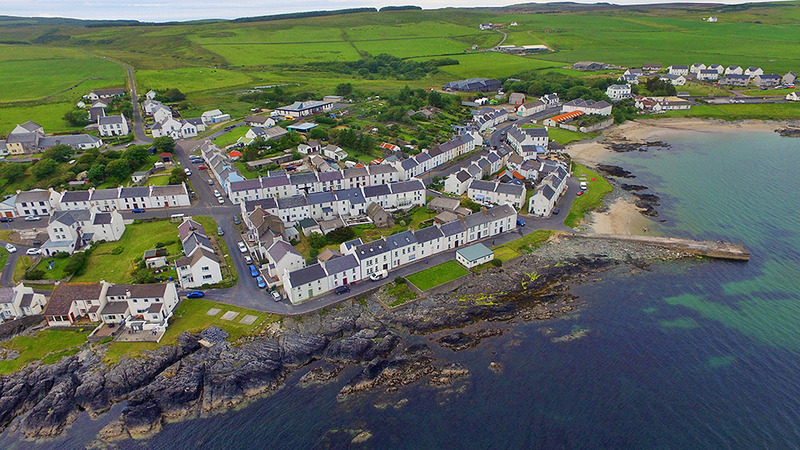 A view of the corner of Rhu, School Street and Shore Street in Port Charlotte on the Rhinns of Islay from the air. Port Charlotte pier with the small beach on the right, not far above it the remaining buildings and warehouses of the Loch Indaal distillery. Some still in use as warehouses, others now house the youth hostel and the INHT. This entry was posted in Beaches, Cloudy Weather, Islay from the air, Landscape, New Post, Sea Loch, Village and tagged Islay, Loch Indaal, Port Charlotte, Rhinns of Islay by Armin Grewe. Bookmark the permalink. I stayed just down the street from that. when I was on Islay.